The Florida heat has already become unbearable and it's not even technically Summer yet. If you live in a warm climate like I do, staying cool is the only goal. Here are a few updos to help you keep your cool this summer. This simple and easy updo can be spruced up with a side braid. It's exactly what it sounds like a bun using a sock. You can find tutorials for this look all over YouTube, and it works for short and long hair. 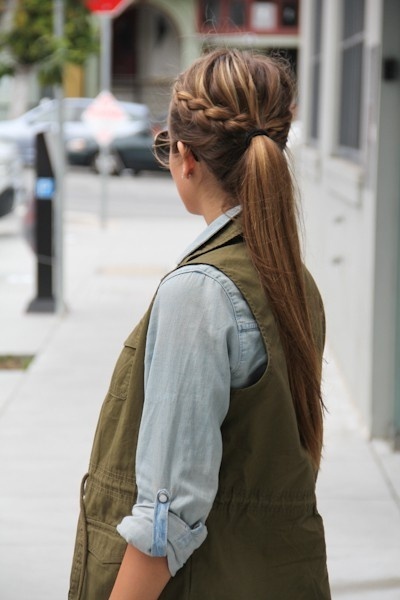 This look is similar to a bun, but a little messier. This look is done best with long hair. Keep your hair out of your face with this ethereal look. Which updo is your favorite?